Beautiful reproduction of the poster for the classic science fiction movie 2001: A Space Odyssey. This pattern was hand designed by a professional artist/crafts person Finished size is approximately 9" wide x 13.5" high when worked on 14 count fabric (123 x 190 stitches) The image is composed of 39 colors. This is NOT a kit. 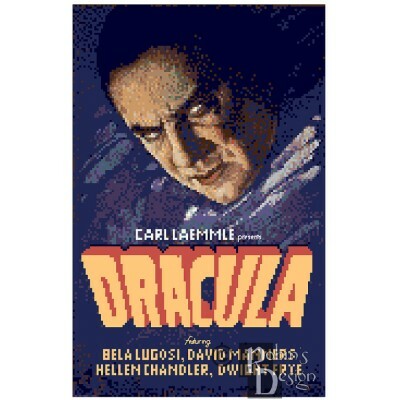 Each pa..
Reproduction of the classic Dracula movie poster. 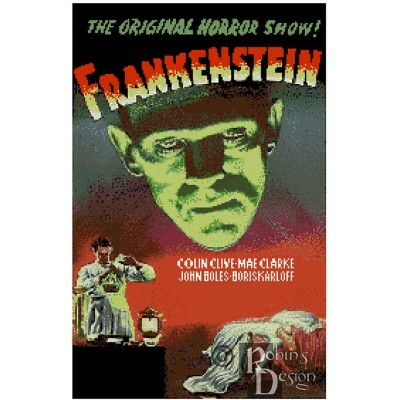 This is the original film starring Bela Lugosi made in 1931.This pattern was hand designed by a professional artist/crafts personFinished size is approximately 8.5" wide x 13" high when worked on 14 count fabric (120 x 184 stitches) The image is com..
Reproduction of the classic Frankenstein movie poster. This is the original movie made in 1931 starring Boris Karloff and Colin Clive.This pattern was hand designed by a professional artist/crafts personFinished size is approximately 13" wide x 20" high when worked on 14 count fabric (183 x 283 sti..
One of the world's favorite Hollywood icons. 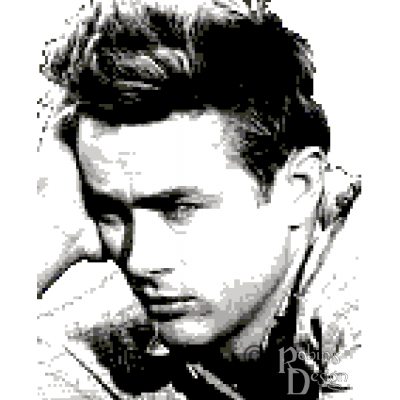 This image came from his first movie, "East of Eden". This pattern was hand designed by a professional artist/crafts person Finished size is approximately 8" wide x 10" high when worked on 14 count fabric (115 x 142 stitches) The image is composed of 10 colors. This is NOT a kit. Each pa..
One of the worlds favorite Hollywood icons. 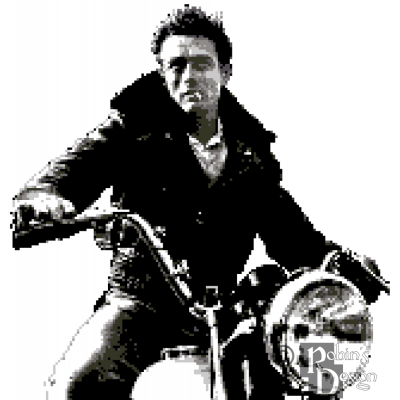 This image shows Jimmy astride a Triumph motorcycle. This pattern was hand designed by a professional artist/crafts person Finished size is approximately 12 wide x 12 high when worked on 14 count fabric (160 x 168 stitches) The image is composed of 11 colors. This is NOT a kit. Each patte.. Ni!! 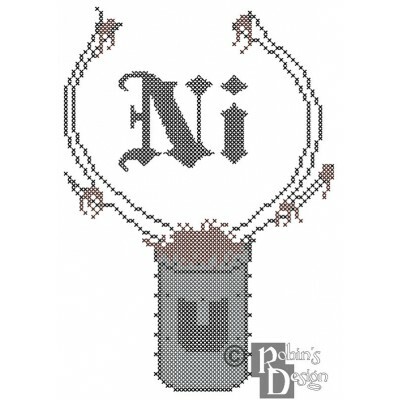 !A fairly accurate recreation of the helmet of the main knight with the word "Ni" in Old English.This pattern was hand designed by a professional artist/crafts personFinished size is approximately 5" wide x 7" high when worked on 14 count fabric (70 x 98 stitches) The image is composed of 4 colo.. The fabulous Liza from her Oscar winning performance in the movie Cabaret. This pattern was hand designed by a professional artist/crafts person Finished size is approximately 8" x 10" when worked on 14 count fabric (110 x 138 stitches) and composed of 37 colors. This is NOT a kit. Each pattern contains: * Color picture of the fi..